DBA has undertaken the preparation of numerous studies involving the delivery of projects associated with renewable energy sources. Ayrshire Power, Hunterston – DBA has been appointed by Ayrshire Power to prepare a Transportation Assessment (TA) for a proposed 1,600MW Multi-Fuelled Power Station at Hunterston, Fairlie. The Transportation Assessment addresses both the final operational and construction phases of the development. Through discussion within the project team, traffic characteristics during the construction and operational phases of the development have been predicted, the resulting road network impact assessed and mitigation proposals developed where necessary. Pates Hill Wind Farm, West Calder – The construction of the seven 2MW turbines at Pates Hill Wind Farm require the delivery, by HGV’s, of materials for the construction of roads and turbine bases to the site. 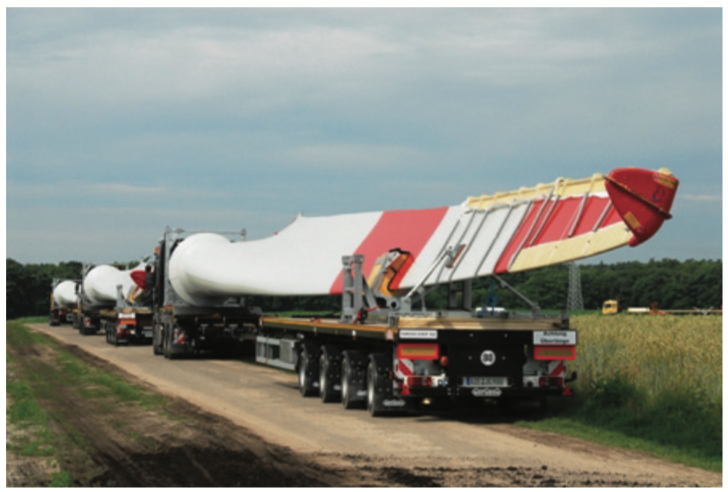 It also required delivery of turbine towers and blades by specialist haulage contractors. DBA produced Transportation Strategy along with the Driver Code of Conduct to reduce and mitigate any potential adverse affects from use of the public road by traffic servicing the site. DBA also designed the site access junction on the local road network and obtained Road Construction Consent from the local authority. Winash Wind Farm, Shap – DBA was appointed by Renewable Energy Ltd to provide advice on traffic impact and access design options. DBA also appeared at a subsequent Planning Appeal presenting evidence demonstrating that an access junction could be provided that met road design guidelines. Approval for the project was subsequently granted.